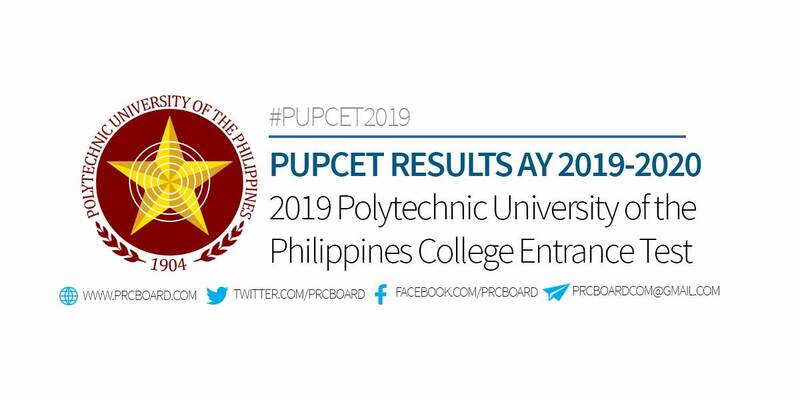 Manila, Philippines – The list of passers and full results of the 2019 PUPCET or the Polytechnic University of the Philippines College Entrance Test are released by PUP five (5) months after the administration of exams. Passing the PUPCET is one of the major admission requirements of PUP. It is an annual exam conducted by PUP to measure the capability of incoming students in the degree they're applying for. PUPCET for School Year 2019-2020 for five batches were conducted on October 2018, January 2019 and February 2019. PUP said in its latest announcement that the PUPCET results for 2019 from Batch 1-5 will be released today, March 22, 2019. Here's the list of entrance tests conducted by the university as well as the target release of results. The list is courtesy PUP. WHO CAN APPLY FOR PUPCET? To quote from PUP, here's the list of major qualifications to apply. HOW TO APPLY FOR PUPCET? If you think you are qualified, you can apply via PUP iapply, an online portal of PUP for College Admission Test. Just remember to apply only at one (1) PUP branch or campus as results from multiple applications will be nullified. To receive up-to-date news on PUPCET results for 2019, we advise our visitors to bookmark this page, visit PUP official website or follow us at our social media pages via Facebook and Twitter.